Adding images and logos adds to product recognition. Doing so in a durable and high-quality manner requires special techniques such as sandblasting and screen printing. Brink experts know exactly how to add your logo or image onto a metal object using these techniques. Their specific expertise and our state-of-the-art machines will guarantee a perfect result. In addition to sandblasting and screen printing, Brink also uses other techniques for applying your logo or image. The possibilities depend on the material of your product and your requirements. A text and/or image on large or small labels? Not a problem for Brink. We can increase your product recognition by adding an image, logo or text label in almost any colour and size to different materials. We also have the capabilities to add images or text onto magnetic labels for easy relocation. 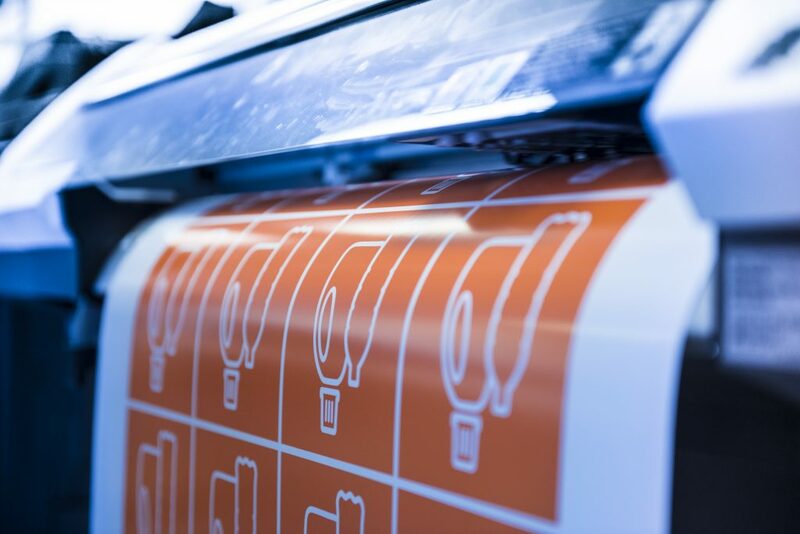 We have advanced labelling machines and printers and are confident that we can boost your product. We also have full-colour VideoJet printers, and can laser engrave and link barcodes and part numbers to your product for easy identification. We can also use many techniques to add your corporate identity to your product. Do you have any questions about Corporate identity?